The children entered into the trade from the workhouse and almshouses or were bartered into a seven-year “apprenticeship” by their parents. 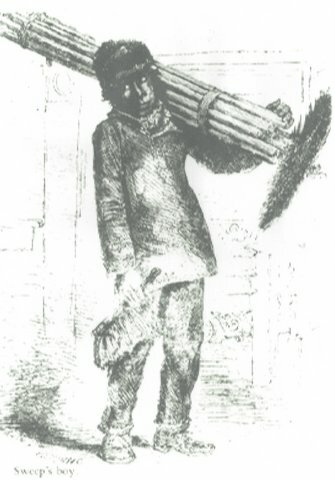 Richard Allen started his chimney sweep business in 1789, before his calling to the ministry, and as a master sweep proved to be a hard taskmaster. Richard S. Newman documents this in detail in his biography of Allen, “Freedom’s Prophet.” Allen maintained numerous indentured servants that were given the title “apprentice” in return for their back-breaking labors. Not all complied with their master’s demands, as there were runaways and a formal complaint against the future preacher’s management style. However, it was only one of the few ways open to Black men to make them rich. White men did not want to do the sweep’s job and there was a constant demand to have the thousands of chimneys kept safe from fire. 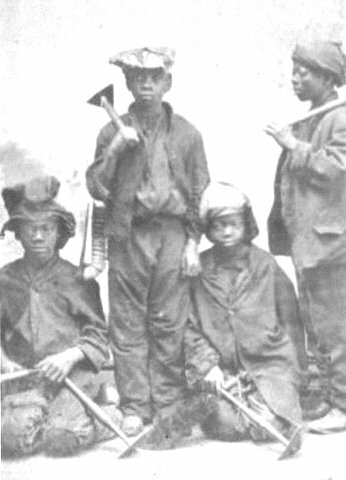 According to Newman, Allen professed to his indentured servants that hard work was the quickest way a Black person could “uplift” their status in the white community. For further reading on the subject see Philadelphia History, Volume II, 92-93 (published by the City History Society of Philadelphia, 1916).